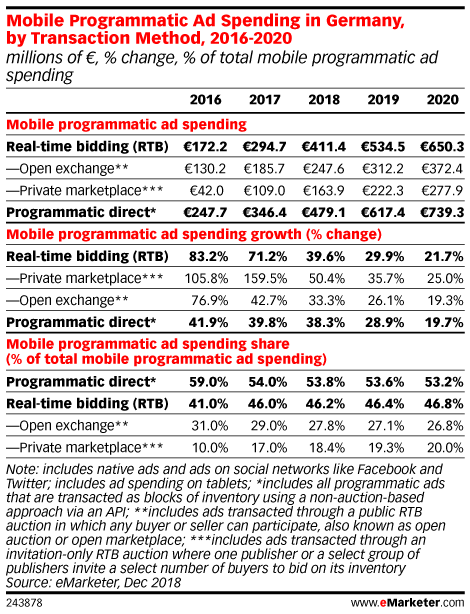 What’s the Outlook for Web, Mobile App and Video? 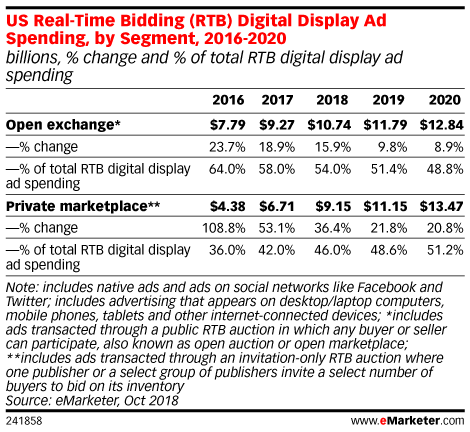 Jim Butler, co-chair of the IAB Tech Lab OpenRTB Working Group, spoke about how a new spec will bring more clarity to programmatic bidding. 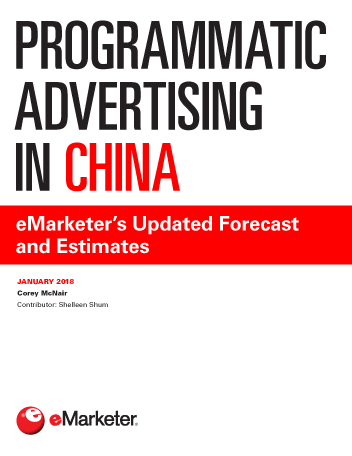 Marketing in China: Should a Demand-Side Platform Be Uber-Like? 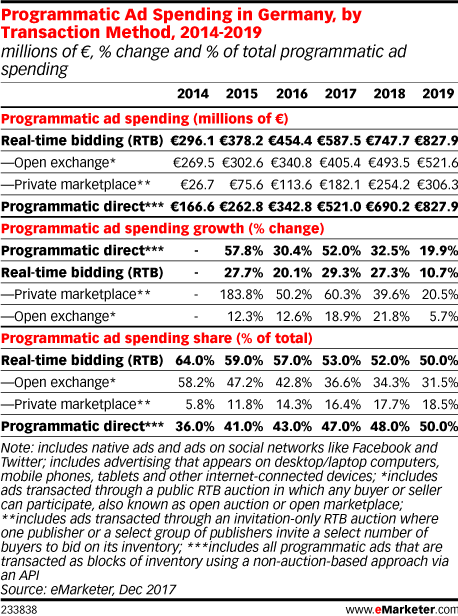 The adoption levels of programmatic buying in Europe vary by country, but they're growing rapidly. 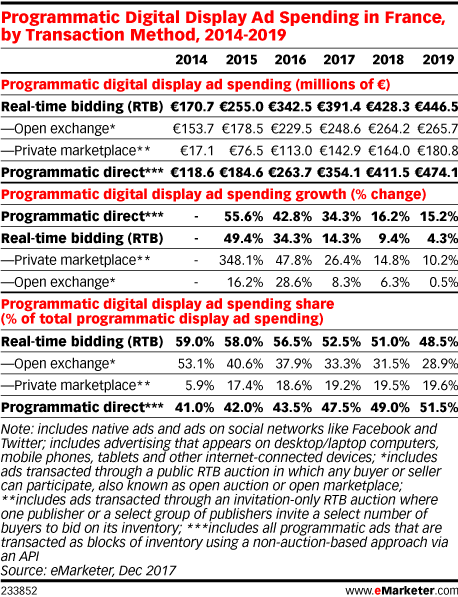 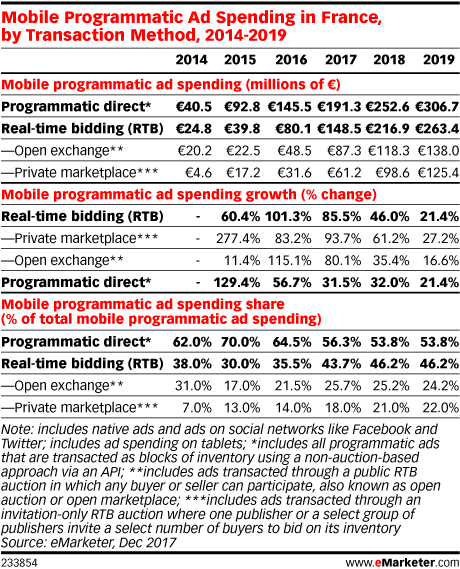 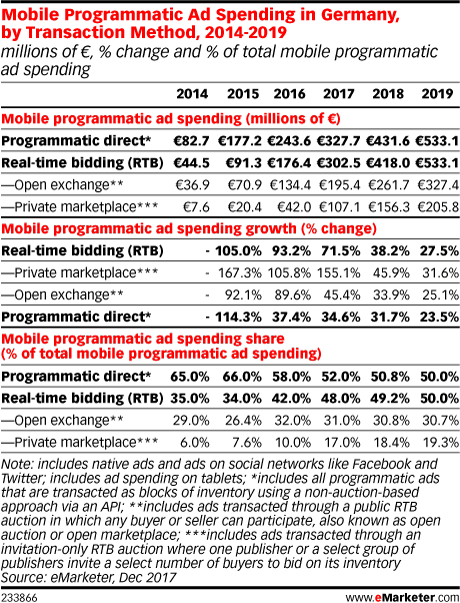 Three new reports explore trends driving programmatic spending in France, Germany and the UK. 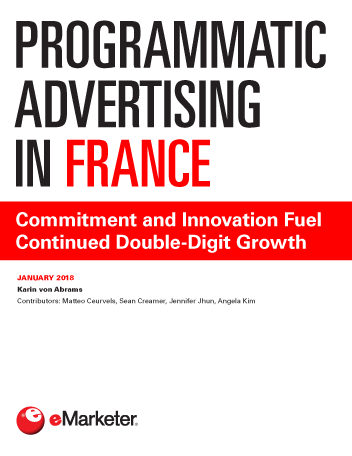 eMarketer’s updated estimates for programmatic ad spending in France reveal a rapidly maturing market. 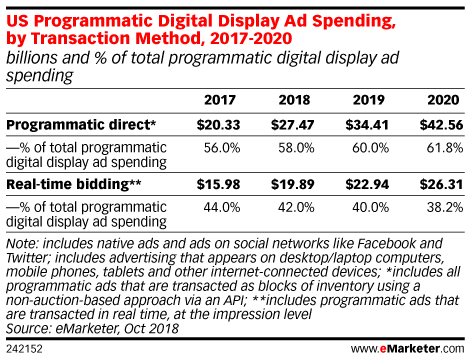 In 2018, 78.5% of all outlays on digital display ads will be programmatic; that share will climb to 81.5% in 2019. 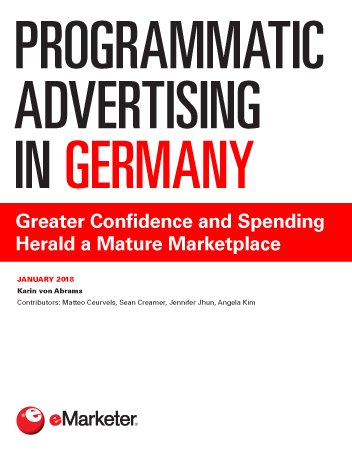 Germany’s programmatic market continues to gain momentum. 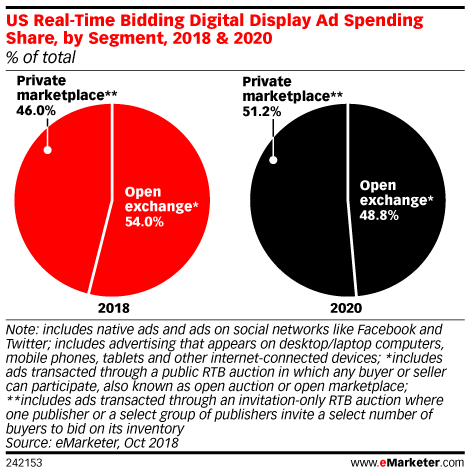 Automated buying and selling of display ads in the country will account for an estimated €1.44 billion ($1.59 billion) in spending in 2018—nearly 30% more than in 2017. 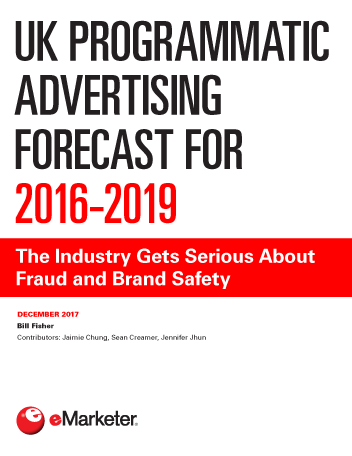 In 2017, programmatic ad spending in China totaled $16.69 billion (RMB110.90 billion), up 48.6% over 2016. 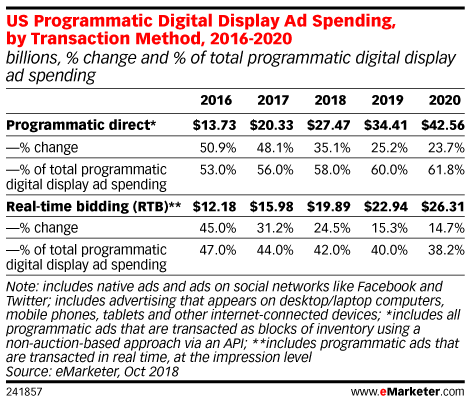 Programmatic ad offerings from Baidu, Alibaba and Tencent (BAT) will continue to drive spending. 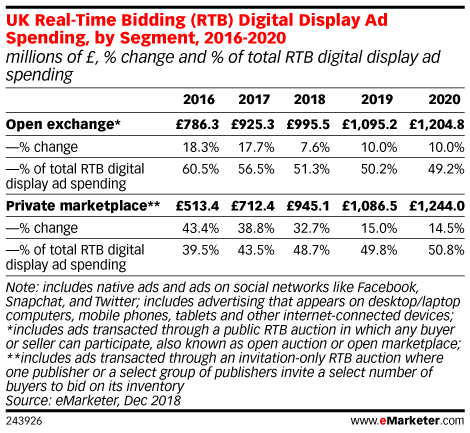 eMarketer’s latest UK programmatic ad spend forecast indicates that strong growth remains. 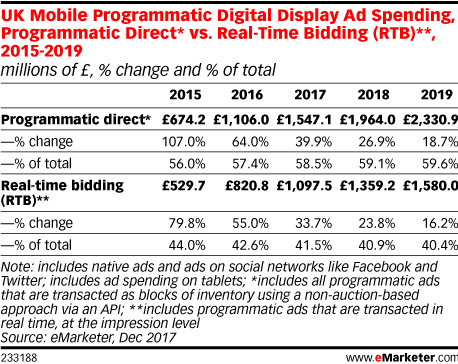 This year, 79% of all digital display ad spend will flow through programmatic pipes, and that will rise to 84.5% by 2019.